You may recall that Fort Bonifacio, a multi-hectare lot of Taguig City, was the official headquarters of the Philippine Army in the '50s. Now, it has evolved into a thriving business district packed not only with offices, but hip restaurants and bars, too. Let this list serve as your guide to the latest must-try restaurants in the area! 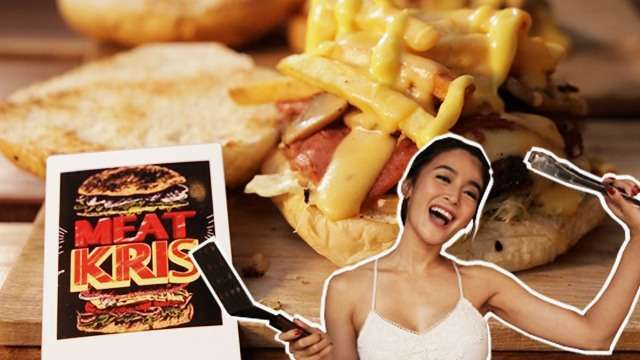 This retro-themed burger joint can either bring out the cheeseburger monster in you or your secret Riverdale obsession (not that it's anything to be ashamed of). Owned by Chef Carlo Miguel of no-fail watering holes The Brewery and Draft Gastropub, Boutique Burger Kitchen will satisfy your diner-food cravings, from classic milkshakes to over-the-top sandwiches and deep-fried delights. Boutique Burger Kitchen is at G/F The Fort Strip, 26th Street, Bonifacio Global City. Have you ever caught yourself daydreaming about lounging by the beach only to realize you're going to be stuck in your office chair until 5 p.m.? We've got a quick solution to your spur-of-the-moment wishes. Ibiza Beach Club is your next destination if you really can't go island hopping in Boracay or Cebu. The best part? It's right in the city and an Uber ride away. Ibiza Beach Club is at 7th Avenue corner 30th Street, Bonifacio Global City. This international Japanese chain has finally landed in Manila to let us sample their many kinds of gyoza! Launched in Osaka in 1999, Chao Chao Gyoza serves practicallyÂevery kind of dumpling flavor you can imagine. Try the Chicken and Mozzarella Cheese gyoza for something unique or the Shrimp Gyoza for something familiar. We're sure you can't go wrong with any of these. Chao Chao Gyoza is at G/F WÂCity Center, 7th Avenue corner Lane Q, Bonifacio Global City. There's really no need to go to the United Kingdom to try their traditional fish and chips because CargoFish is here. Conceptualized by Chef Matthew Lim and British Chef Matthew Hornsby-Bates of Early Bird Breakfast Club, the snack stall at Uptown Mall will be the answer to your curiosity. CargoFish uses classic recipes and ingredients to make your dining experience bloody worthwhile. Choose from a variety of seafood such as cod, tilapia, or shrimp, which are then coated in a crispy light beer-batter. We also recommend you pair them with CargoFish's signature dipping sauces for maximum enjoyment. CargoFish is at 4/F Uptown Mall, Uptown Bonifacio. If you're a big fan of seafood, HOOK by Todd English would be your best bet around the area. Their best-selling platters include an assortment of fresh fare including Aklan oysters, clams, and scallops. While you're there, don't forget to grab a bottle of wine to match with your meal. HOOK by Todd English is at G/F Uptown Parade, Uptown Bonifacio. The bar, owned by restaurateur Erwan Heusaff, is sassy and boasts a vintage, '80s to '90s atmosphere. Located at The Palace and open until the wee hours of the morning, Yes Please can either host your pre-clubbing drinks or be your after-party destination. 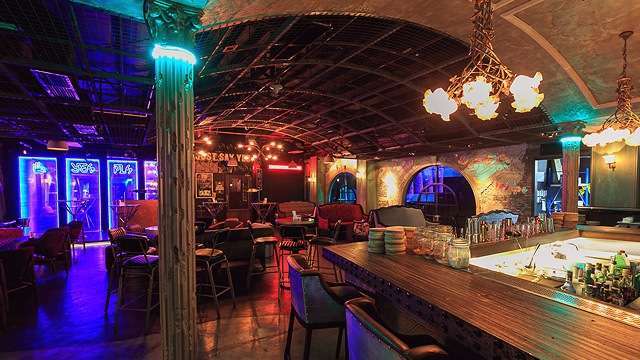 Whatever it is, know that their handcrafted cocktails and bar chow are some of the best in this side of town. Yes Please is at 11th Avenue corner 38th Street, Uptown Bonifacio. Tucked away in the neighborhood of Burgos Circle is Mulberry Door, a posh garden-inspired restaurant by custom catering concept nawwTy's Kitchen. With fresh blooms and elegant furniture laid out in this quaint little space, Mulberry Door can beÂthe ideal place to bring your friends for a nice and intimate weekend brunch. Mulberry Door is at 26th Street, G/F 8 Forbes Town Center, Burgos Circle. This cartoon-clad restaurant will bring out the kid in everyone with its fun vibe and very fun finger food. Kushikatsu Daruma is a franchise from Osaka and serves 30 different types of glorious deep-fried skewers. Choose from beef, chicken, quail eggs, leeks, and even an ultra-decadent foie gras. You've come to the right place if you're craving a badass burger. At Raging Bull Burgers, there isn't an episode of rage and fury from a growling tummy that cannot be appeased. Their beef patties are made of imported beef from Australia and the U.S. so expect top-notch quality with every bite. Don't leave without trying their Mighty Beast burger for a mind-blowing experience! Raging Bull Burgers is at G/F Shangri-La at The Fort, 30th Street, Bonifacio Global City. From the makers of Churreria La Lola comes Rico Rico, a paellaria right smack in the middle of SM Aura Premier's food court. What's exciting about this joint is they offer the traditional Spanish rice dish at affordable prices. Now there's no need to go to a fancy tapas bar for a taste of the real thing. Rico Rico is at Food on Four, 4/F SM Aura Premier, Bonifacio Global City.